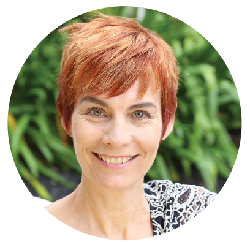 Lynda Wharton has a Bachelors degree in psychology from Auckland University (BA Psych); a Diploma in Natural Therapies from the South Pacific College of Natural Therapies (ND) and a Diploma in Traditional Chinese Acupuncture from the Auckland Acupuncture College (Dip.Ac). She is a member of the New Zealand Register of Acupuncturists, and is ACC registered for treatment of ACC approved accidents. How long has Lynda been in practice? Since 1987 in various places on the North Shore. Lynda now practices from 14 Bayside Ddrive, Browns Bay, Auckland. Is Lynda an Acupuncturist or a naturopath? Both! Lynda is one of a very small group of practitioners qualified and experienced in the practice of both Traditional Chinese Acupuncture and Naturopathic medicine. If I come to see Lynda do I have to have acupuncture treatment? No. The vast majority of patients choose to combine the healing benefits of acupuncture and naturopathy. There is no obligation to do so, and some clients wish to work solely with a naturopathic approach. Do I need a referral to see Lynda? What kind of health conditions does Lynda treat? Does Lynda ONLY treat female health problems? Does Lynda only treat women? No. While the majority of Lynda’s patients are women and girls of all ages, she also works with male clients. What happens during a first consultation? A first consultation is one hour long. Depending on the complexity of your case, the entire first consultation may comprise of case taking. In less complex cases, half an hour is often sufficient for case taking, and the remaining time is used for a first acupuncture treatment. Having taken a very thorough case history, Lynda then spends time focussed on creating a comprehensive naturopathic program unique to you. This often involves dietary change; lifestyle and exercise change; and the use of clinical nutritional supplements and/or traditional Chinese or western herbal medicine. This program is emailed to you, and discussed at the next visit, the following week. This is your opportunity to ask questions before embarking on your naturopathic program. What kind of herbs and supplements are used in the clinic? Lynda stocks and recommends only the highest quality clinical nutrients and herbal medicine. She prescribes widely from the practitioner only Metagenics range and the China Med Chinese herbal range. Occasionally she will direct you to purchase a product through a retail outlet. These appointments are half an hour long. How do I know that the needles are sterile? Only disposable, pre-sterilised needles are used. They are discarded after one use. What happens in an acupuncture consultation? After questioning you about your health, Lynda then uses pulse and tongue diagnosis to further her understanding of your condition. Appropriate acupuncture points are chosen (usually no more than 10 – 12 needles in total), and fine sterile acupuncture needles are inserted (usually only a couple of millimeters) into the acupuncture point. There is minimal sensation with the insertion. Once in place, the needles are usually left for 15 – 20 minutes before removal. During the treatment, most people feel a deep sense of relaxation and wellbeing. It is not uncommon to fall asleep. Usually deeply relaxed. At first, it is common to feel quite tired or sleepy after a treatment. Sometimes, with more chronic conditions there is a period of “aggravation” during which symptoms may become temporarily more noticeable. This is usually quickly followed by a clear improvement in your original condition. The answer is different for every patient. With acute conditions, sometimes, only two or three treatments are required. With more chronic, long lasting conditions, weekly or twice weekly acupuncture may be required for several weeks or months. I have some more questions – can you answer them? Either email Lynda through this website or Press to Email Lynda or call on 021 371 113 for any further questions.